I can't believe that it has been two months now since our day trip over to Philly. We originally were going for a bacon festival but a week before the trip, it was cancelled. We still ended up heading over for the day but we probably chose the most interesting day of the week, weather wise, to go there. The day started off very muggy and it ended up with several torrential downpours. Thankfully we did bring umbrellas and I wore my rain boots so I was a happy camper the entire day! Of all the times that I visited Philly, I think this was the first time we did not eat a cheese steak but we had started the day off well with brunch at Sabrina's Cafe. 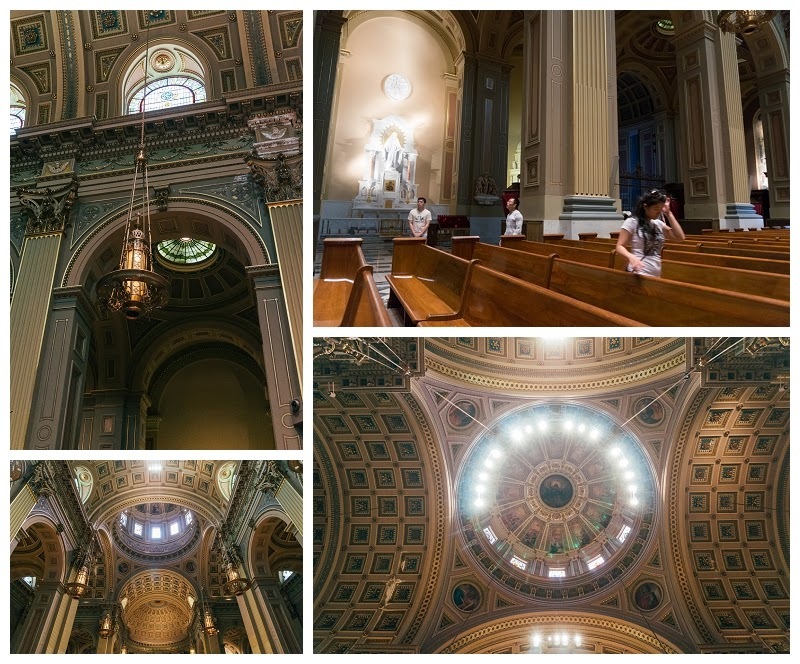 After brunch, we started to head to Rittenhouse square park and on the way there stopped at the Cathedral of Saints Peter and Paul. 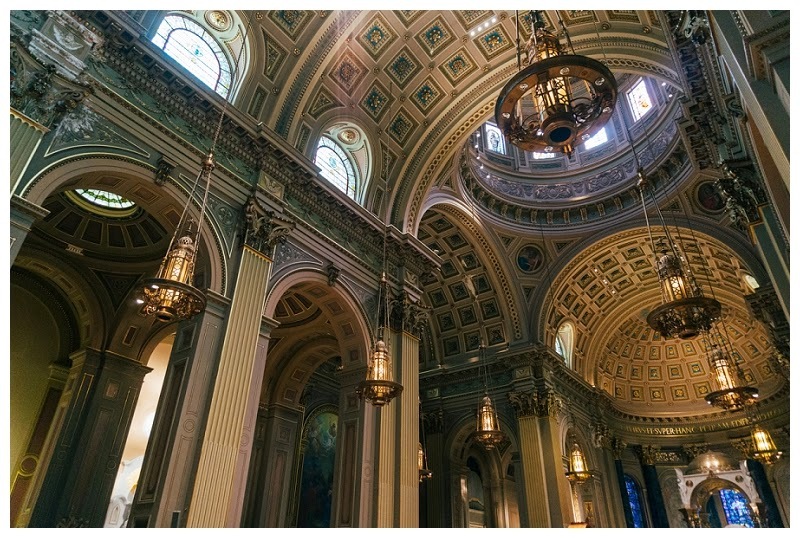 I like walking into Cathedrals because of the architecture and the way the light flows into all of them. 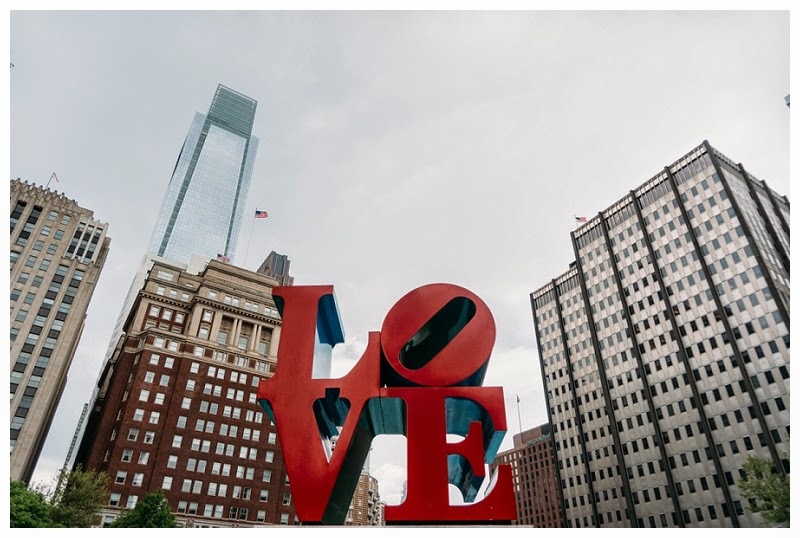 At Rittenhouse Square, there was an Arts and Crafts fair but we didn't end up buying anything and decided to head over to the Love statue since I haven't seen it before. Once we started to take pictures of the statue/sculpture, the rain moved in and we ended up taking shelter at the Welcome Center for a few minutes before heading to our car. After the rain had stopped, we headed over to another park for some kite flying but because of the weather, they had also closed down. This is where we got hit with the second storm but it was raining a lot harder so we stayed inside the car. 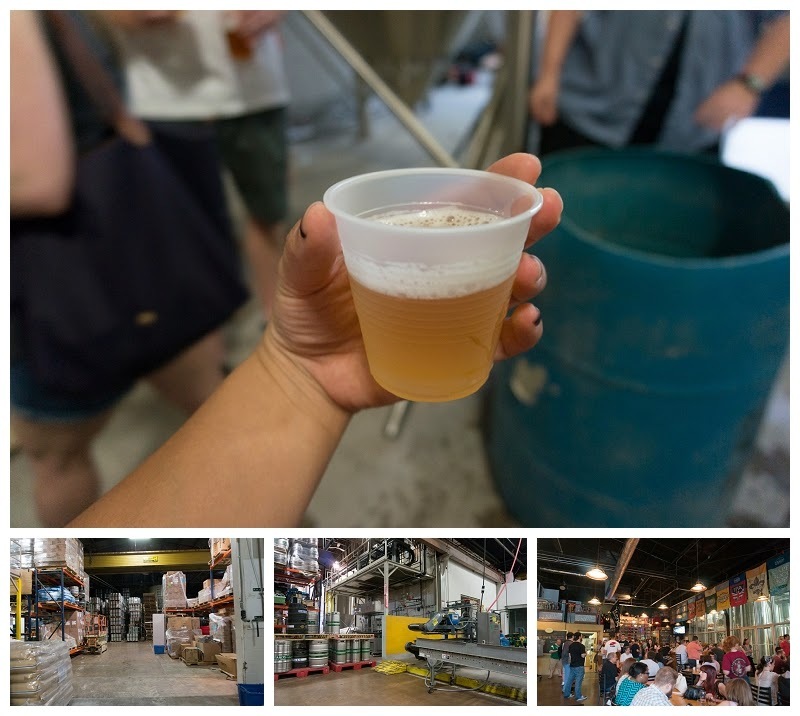 One of our friends suggested we head over to a brewery for a tour so we did just that to kill some time before dinner at the Jamaican Jerk Hut that I had reviewed awhile back. The tour at the brewery was very fun, it was the first time I got to walk into one and the guy leading the tour was very animated and funny. I don't drink beer so that might have gone to waste for me, but I love to know how things are made so it was still interesting to me. I can't complain anyway because it was free!